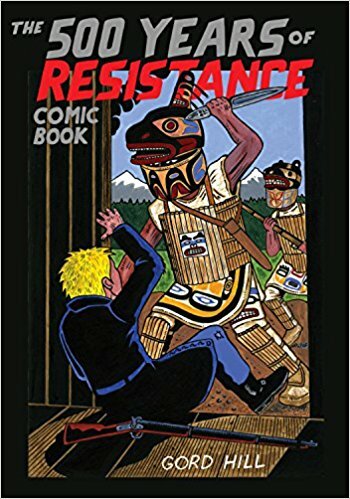 This book was about the Indigenous people's resistance to the Europeans coming to America. It covers the time from Christopher Columbus to the year 2006. It is a graphic novel depicting the Native Americans fighting back against the white settlers who took their land. Not much to say about this short 80 page graphic novel. The author - who is Native American - glosses over 500 years of Indigenous people history. He moved so fast from one event to the other, it was hard to make sense of the book. I think if he would have broken it up into several graphic novels, it would have held more weight for me. I didn't get much out of it, or learn much about the history he was trying to depict, because there just wasn't enough detail.